Read a book from the comfort of your own bed with an over bed table you can rest on. The deluxe twin top over bed table is designed to provide a generous table area from the side of a chair or bed. 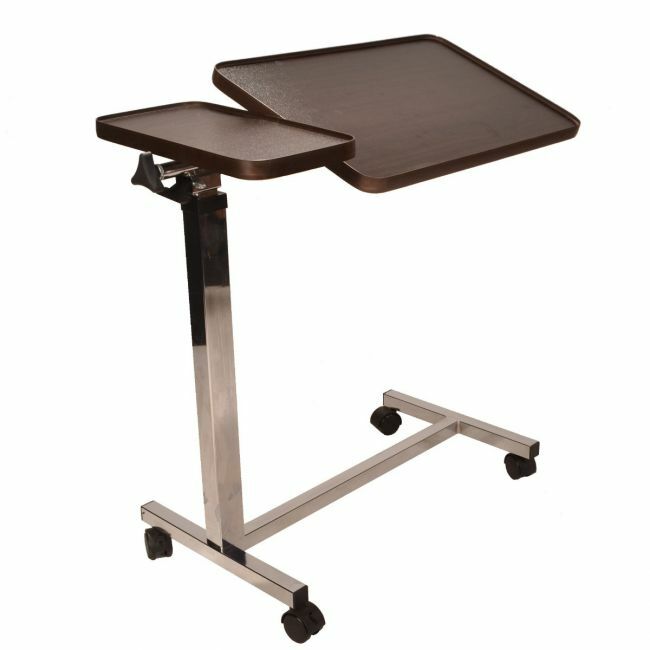 It's fully tilt and height adjustable and ideal for resting a drink or magazine. Will fit under furniture with a clearance of 9cm from the floor. Please consider the position of the legs on your bed/ chair when checking if this product will fit. Table is supplied flat packed for home assembly a cross headed screwdriver and 16mm spanner will be required.